Al Arabiya News is marking International Women’s Day, and the 20th anniversary of the Beijing Declaration on gender equality, with a special series profiling leading women around the world, among them world-famous architect Zaha Hadid. Do an internet search for Zaha Hadid, and you will find an endless stream of information about the Iraqi-British architect. 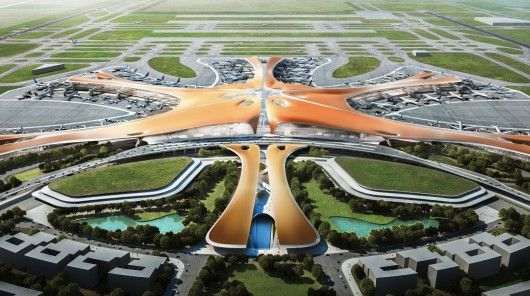 Last month, it was reported that her firm ZHA would be responsible for the creation of the world’s largest airport terminal. The starfish-shaped building will form part of Beijing’s new airport. Building Design Online reported that the terminal would measure 700,000 square meters. Hadid was born Oct. 31, 1950, in Baghdad, where she grew up, before studying mathematics at the American University of Beirut. She went on to study at London’s Architectural Association School of Architecture. Dame Zaha boasts an impressive catalogue of designs, including the aquatics center for the London 2012 Olympics. Each design, while unique in its look and feel, tends to carry her signature style of curves and smooth surfaces. 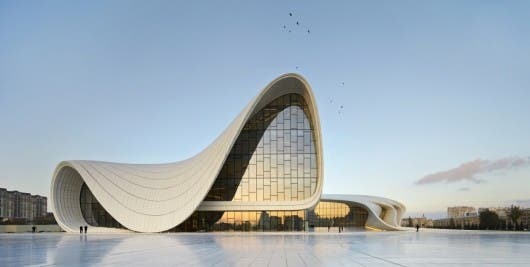 It is not just exteriors that Hadid has created. She designed the Mind Zone in London’s Millennium Dome, which was open to the public for one year from Jan. 1, 2000. Despite being the world’s most famous female architect, it is not an accolade she particularly likes to shout about. “I don’t generally think of myself always as a woman architect, as I’ve said many times. I feel that I should be recognized as an architect first. “People ask, ‘what’s it like to be a woman architect?’ I say, ‘I don’t know, I’ve not been a man.’ But now I think that if it serves as an inspiration or it helps women architects to push on then that’s fine. In February, it was revealed that the Middle East accounted for 40 percent of her company’s business. According to the accounts for the year to April 2014, filed at London’s Companies House, her firm made approximately $29.2 million from the region alone. Globally, ZHA made $72.8 million. The company has seen more than 18 percent growth in staff size, from 354 to 415 people. Last month, the New York Review of Books paid Hadid an undisclosed sum after she filed a lawsuit in 2014 following publication of an article that claimed she had “no concern” for workers killed during construction of a 2022 World Cup stadium in Qatar. Construction work had not started and there were no deaths. 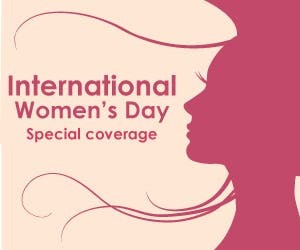 This article is part of Al Arabiya News' Special Coverage on International Women's Day.